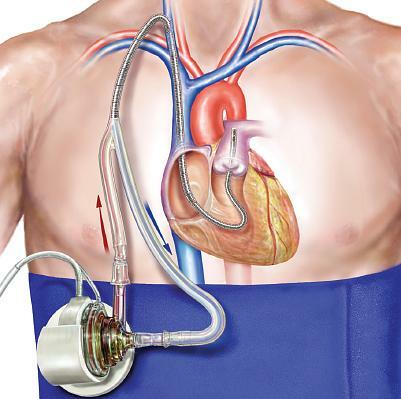 The first is used to draw blood from the right atrium into the TandemHeart pump using a 62 cm cannula, while the second is used to return blood from the pump to the pulmonary artery via a 72 cm cannula. 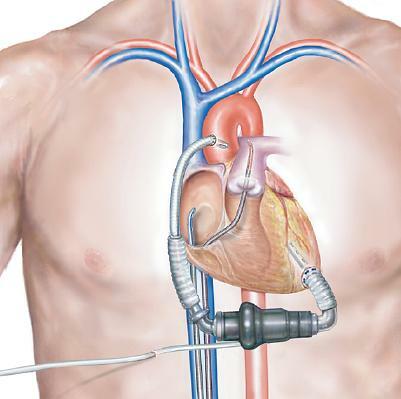 > manufactured by CardiacAssist, Inc.
CardiacAssist has developed a dual lumen cannula for RV support through a single access site in the neck, with commercial release expected in early 2014. Blood is still withdrawn from the right atrium and returned to the pulmonary artery.